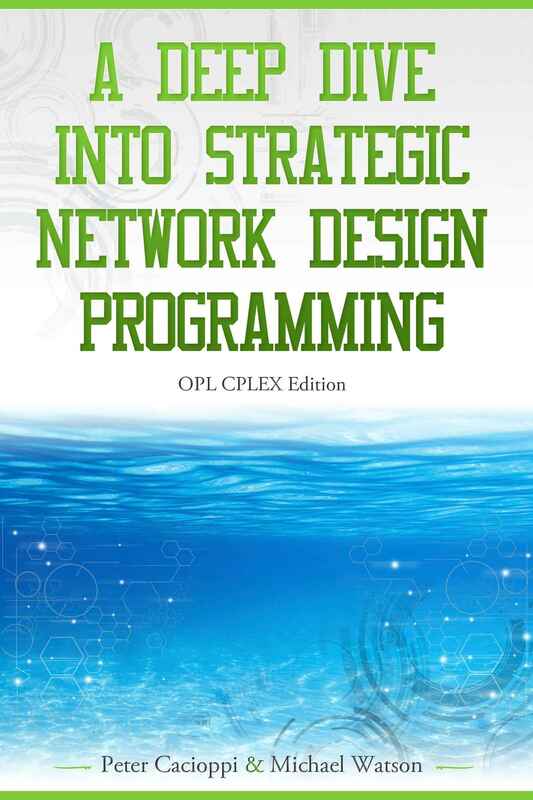 We wrote this book as a compliment to the Supply Chain Network Design book. This book teaches you how to write mathematical programs with CPLEX. This book goes deeper than just showing you how to write a model in CPLEX. It also teaches you about the practical engineering considerations when you are building commercial optimization. This free e-book is a great way to teach students about optimization or learn about it yourself. It starts simple and then goes deep into a particular problem so you can get a deep understanding of a real-world sized problem. The book is free. Download it and see if you can use it in your program or use it to learn more about optimization. Here are links to the files mentioned in the text. We recommend that you actually type some of the easier models from hand to practice. Many files are zipped, please unzip before using. Chapter 3 Mod file (note that windows may think that your *.mod file is a movie and my website did not allow me to upload the file so I zipped it. You will need to unzip all files before you can use them). MIP9City.xlsx file. This is the Excel file mentioned in Section 8. LargeScale3LocationModel.xlsm. This is the large scale model mentioned in Section 11. Chpt4ServiceModel.mod. This is model shown in Figure 17 in Section 13. The .dat that goes with is called Chpt4LargeScale.dat and the Excel file is called LargeScaleServiceModel. These three files will get you the results you see at the top of Section 14 in the book. The model described in Section 14 and show in Figure 18 is Chpt4SecondModel.mod and its data file is Chpt4SecondModel.dat. You can use the same spreadsheet as in the above bullet. The .mod, .dat, and Excel file for the model described in Section 15 on Capacity. We refer to the model described in Sections 17 and 18 as Chpt4ServiceModelSlightlyGeneralized.mod. If you combine this .mod file with the Chpt4LargeScale.dat file (mentioned above) and corresponding LargeScaleServiceModel Excel file, you’ll be able to replicate our results. The .mod, .dat, and Excel files described in Sections 19, 20, and 21 are in the Chpt4FullyGeneralized zip file. Here are the SparsityFiles you can use to replicate the results in Section 22. You can use these same files to replicate the run-time exercise in Section 23 by modifying the .mod file.